In June, the President nominated two individuals to fill the vacancies on the National Labor Relations Board (NLRB): William Emanuel, a previous management-side labor employment lawyer, and Marvin Kaplan, current counsel at the Occupational Safety and Health Commission. It is likely that the Senate will confirm these nominations, creating the first Republican majority in nine years. Whether research assistants and graduate students qualify as “employees” under the NLRA with respect to collective bargaining rights; amongst other issues. After the 11th Circuit Court of Appeals declined to rehear the case of Jameka Evans, a hospital security guard who was allegedly forced out of her job because she is a homosexual, LGBTQ legal advocacy group Lamba announced that it will be appealing the case to the U.S. Supreme Court. The crux of the case will involve whether the protection of Title VII extends to discrimination based on sexual orientation. Currently, there is a split in the lower courts over the issue as to whether civil rights law not only protects employees against discrimination based on gender, but sexual orientation as well. LGBTQ employee rights advocates are eager for the issue to be decided on a national level. Sensient Natural Ingredients LLC will pay approximately $800,000 and revise its leave policies to settle claims from employees who were allegedly discharged for exceeding the company’s restrictive leave policy (or required to return to work without accommodations) after taking extended leaves of absence for disability-related care. Recently, the United States Court of Appeals for the Second Circuit held that the NLRA restricts the ability of employers (companies) to enforce broad policies which prohibit employees from recording or videotaping in the workplace. Section 7 of the NLRA explicitly protects the right of both unionized and nonunionized employees to engage in concerted activities for the purpose of collective bargaining or other mutual aid or protection. Florida labor and employment attorney Robert S. Norell helps people who have been wrongfully discriminated against in the workplace and/otherwise had their employee rights violated. We put in the time and effort to ensure that you achieve justice with regard to these claims. Contact us today to discuss how we can help. 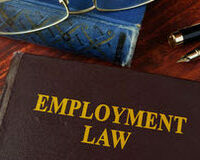 It is possible that your costs and attorney fees could even be paid by your employer.